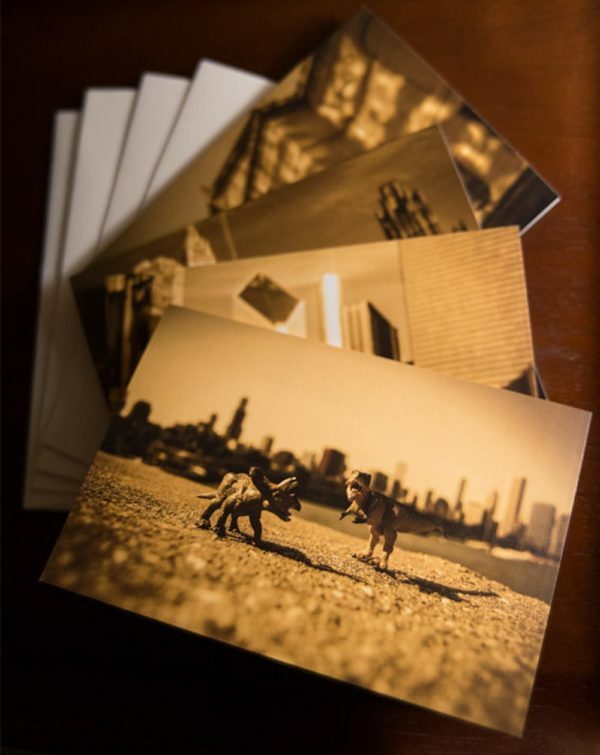 Set of four (4) greeting cards that are blank inside for your own message. 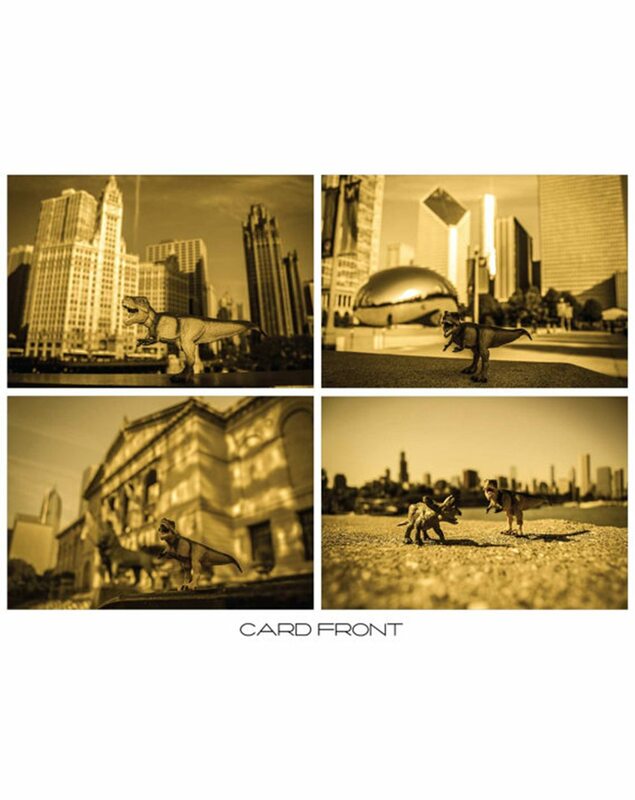 The front of each card features a photo from the Touristosaurus Series photo series by Laura Peters, set in Chicago. 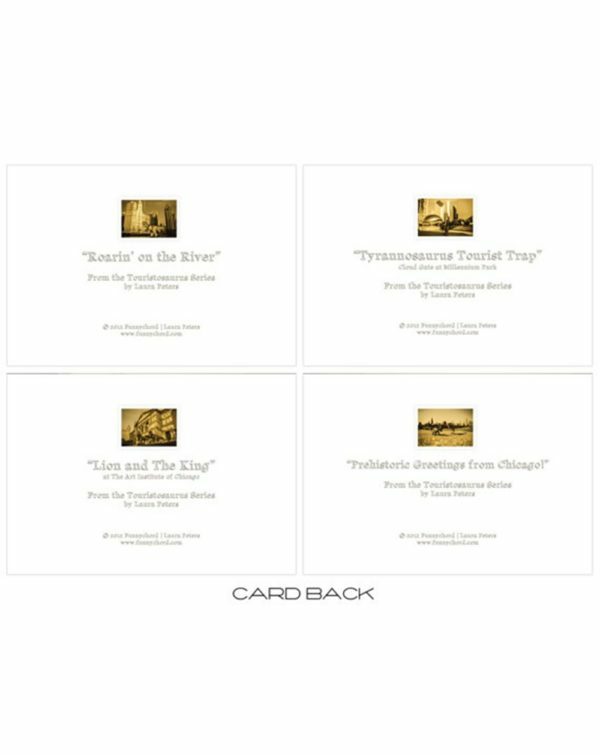 The back of each card includes the title of the piece. This set also includes four (4) envelopes.